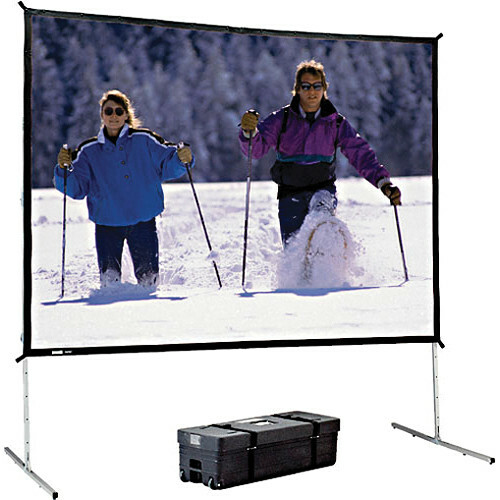 The Dalite 12'3 x 21' Fast-Fold Deluxe Projection Screen is a quick set-up system for Point-of-Purchase and trade shows. It is also very useful for people who travel much of the time and need a system that they can carry around - either in their car or via airplane. The legs of this screen are made from 1.25" rugged aluminum tubing and are easy to set-up using the quick release latches. This is a completely portable system featuring compactness and ease of use. No tools are required for set-up or break-down making it even more desirable as a travel unit. Box Dimensions (LxWxH) 75.0 x 25.0 x 12.0"